Hello. 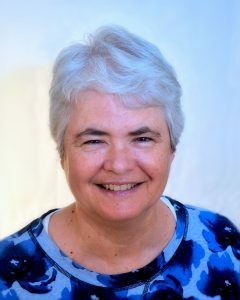 My name is Maureen McHugh, and I teach the Feldenkrais Method of Somatic Education in Arlington and Alexandria, Virginia, USA. Feldenkrais is a way — through movement — that I can help you feel better. I can help you feel less pain and more comfort. I can help you make progress toward your goals, such as improving your posture, balance, breathing, walking, sportsmanship and musicianship. Feldenkrais works by exploring movement patterns. All the activities of daily living — such as, walking, sitting, reaching, and rolling over in bed — are complex assemblies of smaller actions, linked together with a specific timing. When there is pain, most often something has gone wrong in the sequence of actions. By helping you adjust this sequence, I can help you return to a more comfortable and vital way of moving and living. The Feldenkrais Method is a teaching approach. It takes place through Group Classes and Individual Sessions. It is not part of the medical system and, therefore, is not covered by insurance. Just the same, many people who have Flexible Spending Accounts get reimbursement through them for the Individual Sessions. The basic idea of the Feldenkrais Method is to start where you are, and from there make gradual improvements. Thus, it is good for everybody. are strongly motivated to try another approach. For many people this process brings big benefits, such as relief from pain, expansion of horizons, and hope and joy. 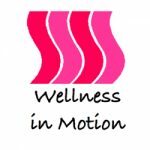 Will Feldenkrais work for you? You have to try it to find out. The best way to begin is with an Individual Session. In one session I can evaluate what is going on with you and make a recommendation. In one session, you, also, will get a sense of whether the approach is a good fit with you — with your goals and preferences. Alternatively, you could start with a Group Class. This is also a great introduction. Are we not yet acquainted? Please be in touch. It will be a pleasure to meet you, and to get started doing my best for you, and with you.